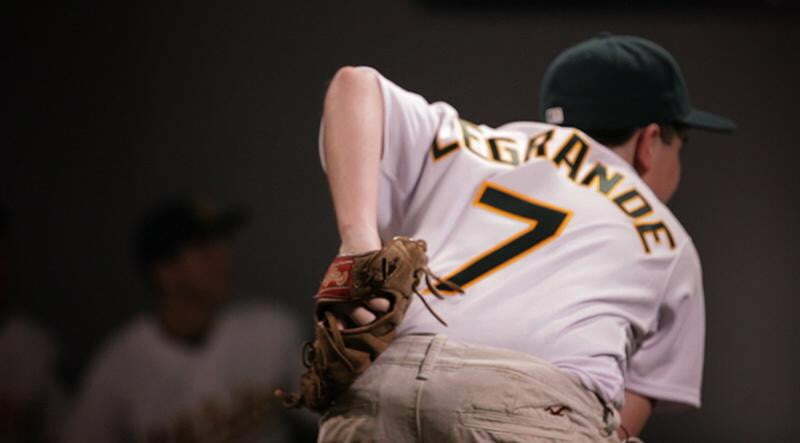 Wednesday, before the A’s vs. Yankees game in Oakland, Nick LeGrande threw a nasty sinker from 1800 miles away. No, Nick is not the latest phenom chosen in last week’s MLB draft. Nor is he one of the 20 players involved in the Biogenesis PED scandal. 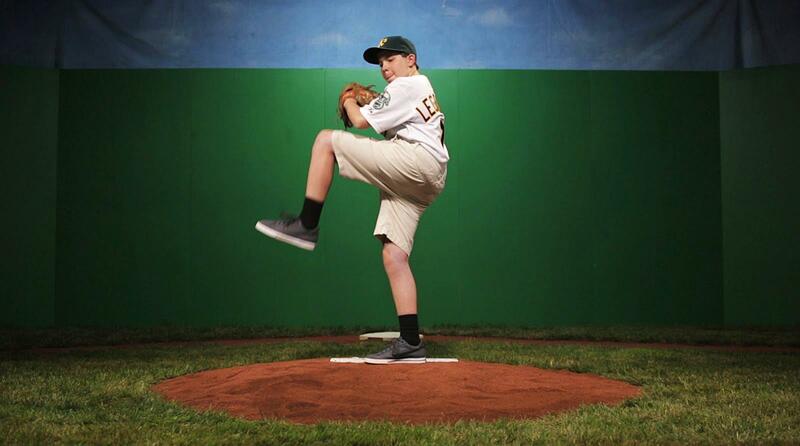 He’s just a 13 year-old kid from Kansas City who loves baseball, a fan who is unfortunately unable to attend baseball games anymore due a rare blood disorder called severe aplastic anemia. But that didn’t stop him from bringing the Oakland fans to their feet. Kansas City is home to Google’s Fiber headquarters, and the company is on a constant hunt for ways to showcase how their internet infrastructure, which is roughly 100 times faster than standard ISPs, can demonstrably improve lives. According to their blog, Google met Nick while exploring opportunities with the Children’s Mercy Hospital, where he receives treatment. 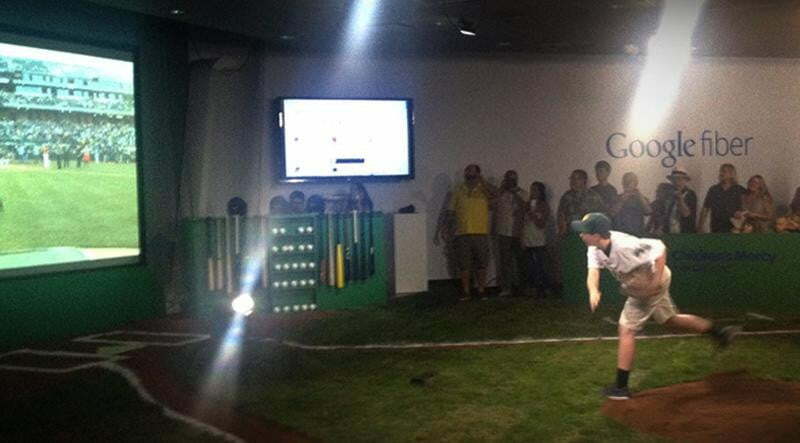 The company built a small replica of a baseball diamond around a huge screen and outfitted with motion capture cameras. Meanwhile in Oakland, as fans in the Oakland Coliseum prepared for the A’s matchup with the Yankees, a small Android-powered robot that looked like R2D2 without the style points was rolled out to the pitching mound. Nick was introduced to the crowd by A’s reliever Ryan Cook, who took up position behind home plate. Back in Kansas City, Nick stood on the mound, staring right into Cook’s mitt. He wound up and uncorked a laser while his movements were captured and transmitted in real time to the R2 unit in Oakland. It was the first tele-robotic pitch in MLB history; the first battery-powered battery if you will. 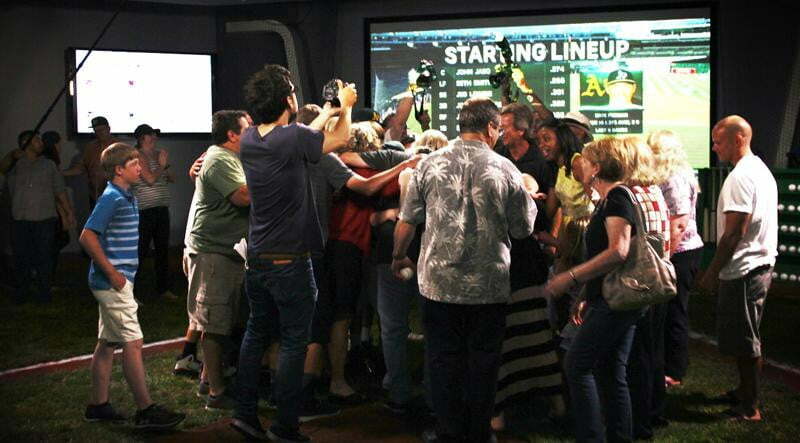 The crowd roared, Nick looked thrilled to be playing the game he loves, and it was a genuinely moving celebration of both human spirit and technological innovation. After the game the Yankees signed the robot to a 7 year, $140 million contract. He is represented by Scott Boras.